Education is essential for ending the cycle of disease and poverty. in rural developing countries, the biggest barrier to education is often the physical act of getting to school. Our programs provide bicycles to students, teachers, and school volunteers to improve access to education and reduce travel time to improve educational outcomes. 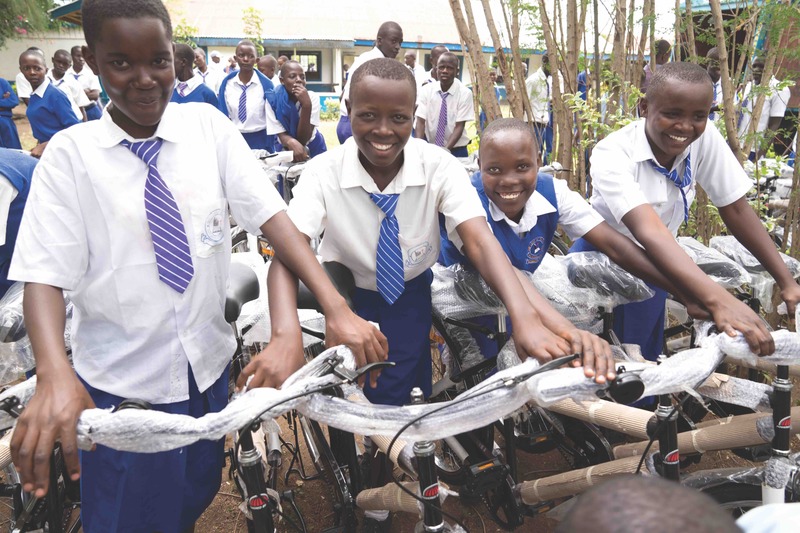 Education is a way forward, and bicycles are making a difference. With an education, a child is far more likely to become an adult with higher skilled, better paid, and more secure employment. Educated children have a greater chance of reaching their potential, breaking the cycle of intergenerational poverty, and helping their community prosper. Since 2009, World Bicycle Relief has mobilized students, especially girls, to access education. With a bicycle, children and their families are empowered, and education becomes a priority.